Labor Day is behind us and my home is decorated for Fall. Even though it will be well over 90 degrees today, I’m still enjoying the scent of apples and admiring pumpkins around my home. One of the projects I created over the weekend is a simple pumpkin vase made from an inexpensive faux foam pumpkin. So easy to make, read on for all the details. I picked up a foam pumpkin on a shopping trip last week, it was calling my name. These are available everywhere from a dollar store to a craft store. This one happened to be made of styrofoam. 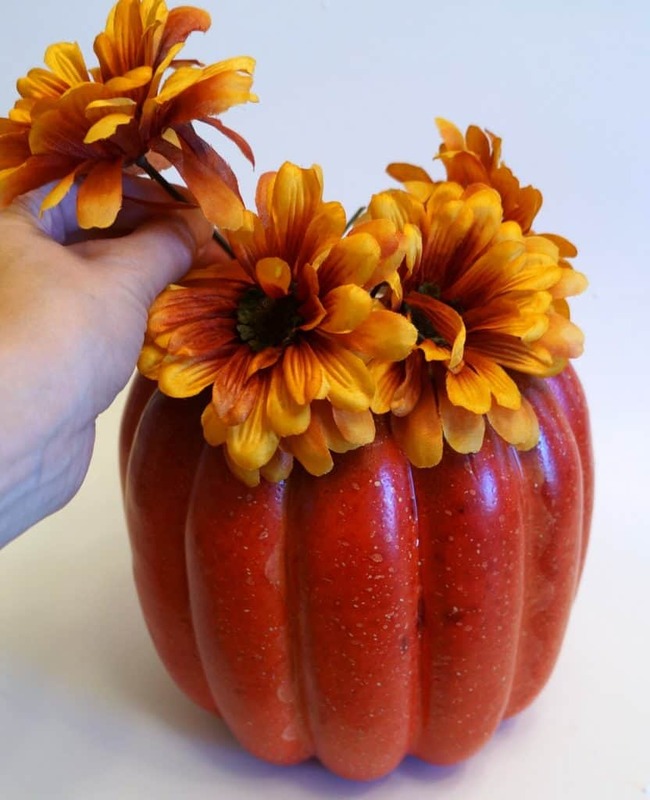 I wanted to create a pumpkin vase for real or fake flowers that I can use throughout the season. 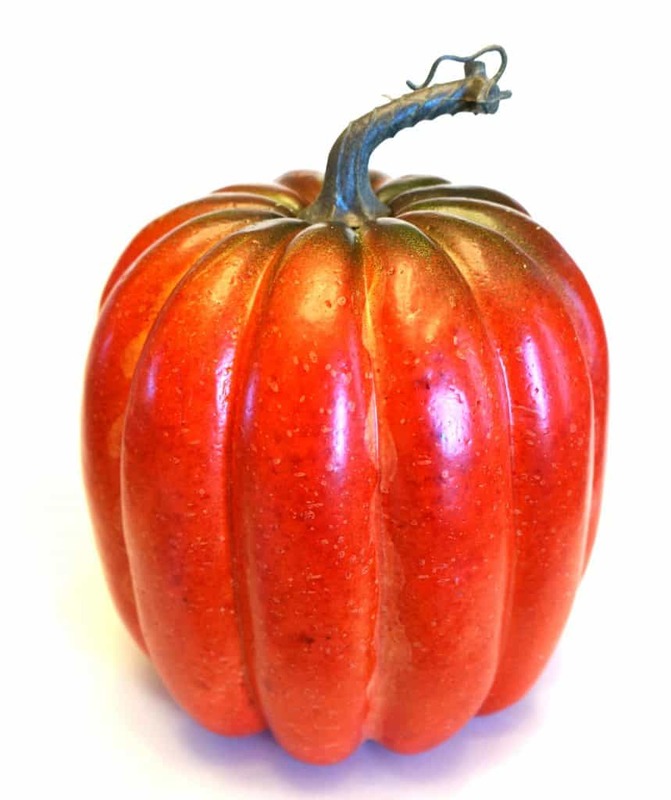 I started by tracing a small glass vase on the top of the pumpkin then cutting out the core using a craft knife. It was a little messy but very easy to carve out. I placed my glass vase inside and filled it with silk flowers for the time being. I used a glass vase so I can easily add real flowers as soon as my mums blooms. I look forward to displaying fresh flowers in this pumpkin vase all season long. This orange pumpkin will stay in my kitchen but I may make another one for my mantle and paint it a neutral cream or gray. 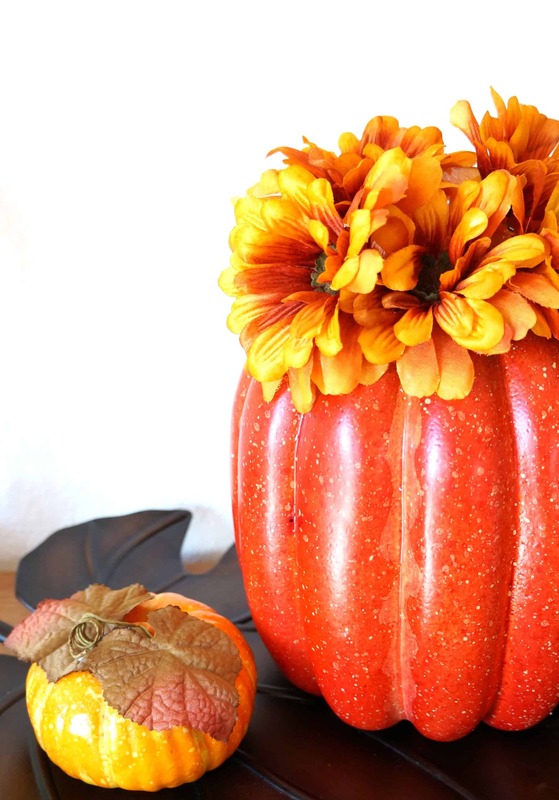 These faux foam pumpkins are so versatile and once you make them they can be used year after year. Do you like to decorate with pumpkins? What’s your favorite project? 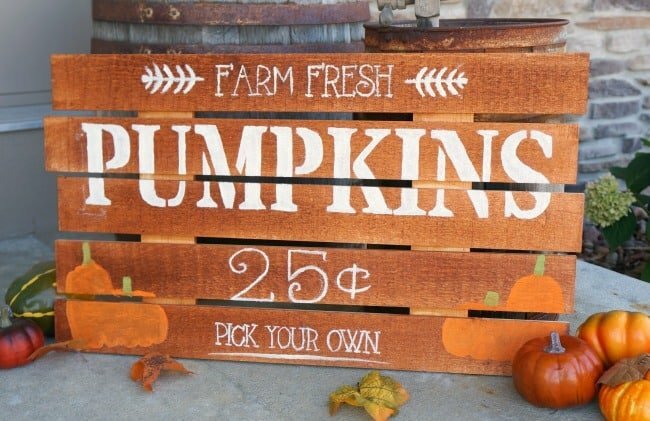 Learn more about how you can create this beautiful fall sign at a Craft at Home party.